The Africa's Young Entrepreneurs Empowerment Nigeria popularly known as AYEEN is here again. The program is powered by the Africa's Young Entrepreneurs headquartered in Johannesburg, South Africa. AYEEN 2016 is taking a new direction as it hits the airwaves in a more vast and diverse way, it will be a Pan-Nigerian program as the 6 Geo-political zones is taken into focus. Continue to watch more videos and read more Business pitch auditions will take place in 6 different states as the program hopes to attract about 100,000 participants and empower 1,000 businesses with grants, facilitated loans, business equipment/ tools, specialised skills scholarship, coaching and others. 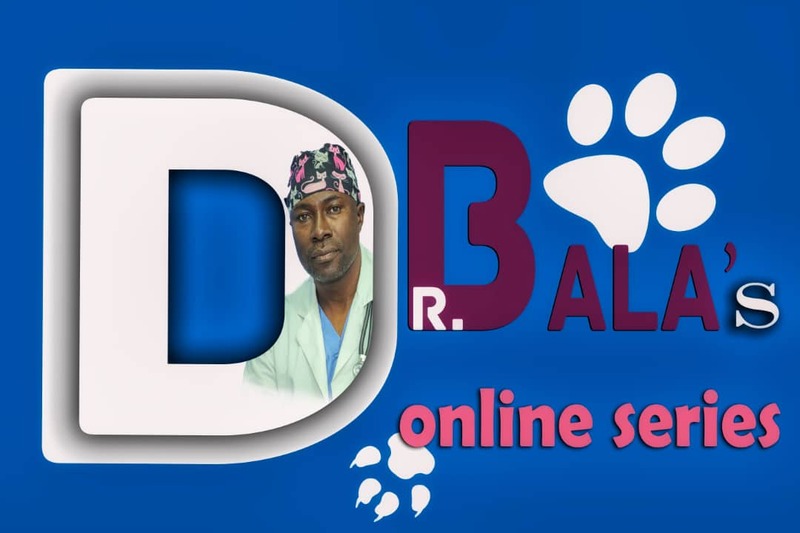 The program will be rendered into a thirteen episode entrepreneurial reality show that promises to be educative, informative yet entertaining. Aspiring entrepreneurs and viewers will be engaged as they learn from the business pitches by applying acquired knowledge and skills in their own business. It will cut across the teeming youth aged 18 to 45 years pitching their ideas and businesses before a well sort out panel of international repute. The businesses will cut across the various sectors of the economy: transportation, technology, commodity goods, manufacturing, hospitality, healthcare, logistics, fashion, agriculture, waste management,services and so much more. The peculiarity of AYEEN 2016 is that there is no ultimate winner rather a thousand entrepreneurs will be empowered with grants worth millions of Naira, facilitated loans, business equipment, specialised skill scholarship and others. The program is meant for everyone that includes budding entrepreneurs, business owners , start-ups, artisans (mechanic , plumber , tailor ,carpenter) and technicians. The unifying code is conceptualising an idea to reality. Join the teeming business minds pitch that laudable and economically viable idea and stand the chance to walk away with the necessary resources to either start your business or scale it up. AYEEN 2016 promises to make you shine like rare gems. 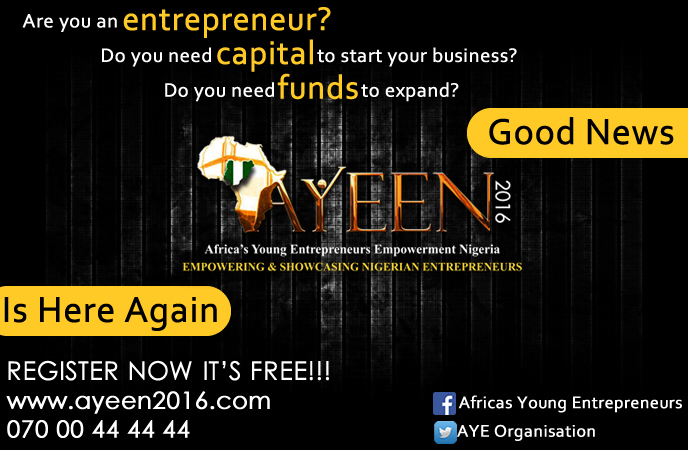 Register by visiting, www.ayeen2016.com It is FREE!